The smart factory of the future will be able to manage all aspects of a manufacturing or production process through a combination of automation, data sharing and management, and technologies that are collectively termed ‘Industry 4.0’. 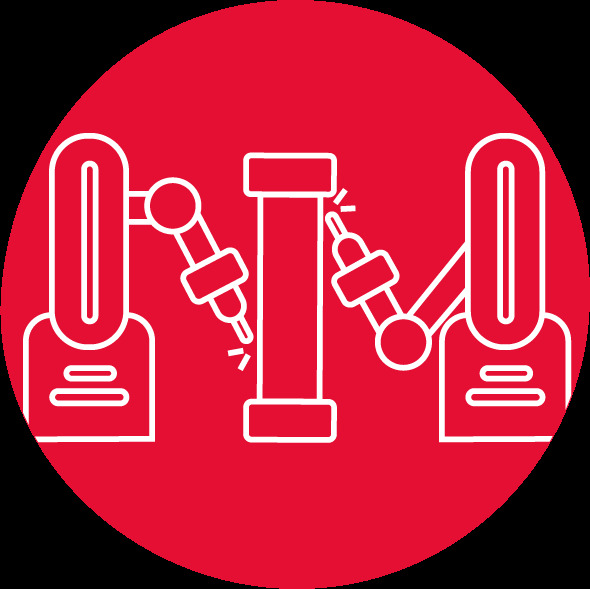 Industry 4.0 envision ultimate cyber control over the properties and quality of the output, including manufacturing equipment, products and workers, and enables them to communicate and share data. The concept also enables the management of large sets of data from on line sensors to create a ‘virtual’ factory, which can be compared with models to ensure that processes are running as planned or to introduce new processes (or ‘virtualization’). Robots, that can improve process efficiency and safety conditions for the people. Smart portable devices that improves human –machine interface and process efficiency and safety. IoT devices to improve process tracking. Install a dashboard system, interconnecting several plants to control production parameters. Define an automated labeling system for steel products. Enable intelligent surveillance in plants. Ease traceability transfer to each piece of the sections at every stage.